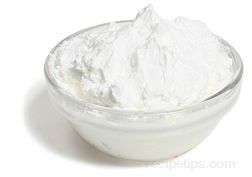 There are many factors to consider when cake decorating and one of the most important is the frosting you use. 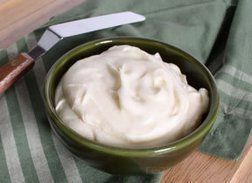 There are many cake frosting recipes that can be used. 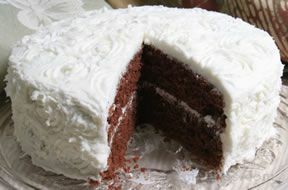 Different frosting recipes used on the same type of cake will result in a completely different look and taste. 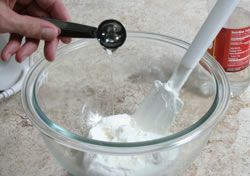 The consistency of the frosting is very important when decorating cakes, cupcakes, and cookies. You will want to use different consistencies for doing different types of decorating to make the job easier. 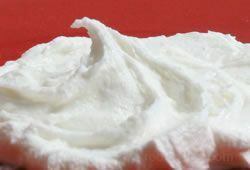 Buttercream Frosting is a type of frosting that is easy to work with when decorating cakes and the consistency can be adjusted as necessary. 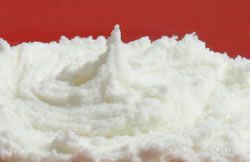 Shown below is a recipe for Decorator's Buttercream Frosting and information on how and when you may need to adjust the consistency when decorating cakes. The consistency of the frosting is very important when it comes to decorating with detail. 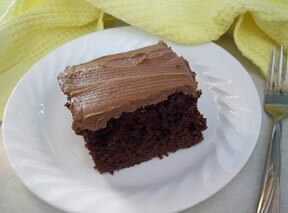 There are many factors that will affect the consistency of the frosting. Temperature and humidity play a big part because they can affect how the ingredients will combine with each other. 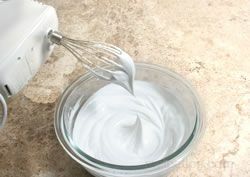 Also the temperature of the cake decorating supplies and the equipment being used to create the frosting will have an effect on the consistency. The exact amount of ingredients used will also make a difference. 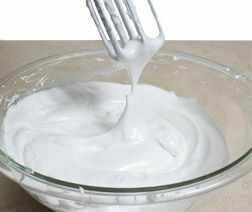 With all the factors that can affect the consistency, it is likely that the frosting may turn out a little different each time it is made. 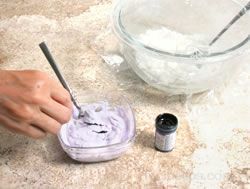 The addition of certain ingredients can help achieve the required consistency for the type of decorating you are doing. The information below explains the different consistencies, their common uses, and how to achieve that consistency. 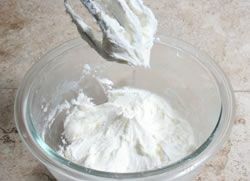 The recipe below is a good basic buttercream frosting that works well for many decorating details. Frosting with a stiff consistency is best used for making flowers with petals that need to stand up and for other upright figures. If the frosting is not stiff enough, the frosting design will droop. The recipe above should produce a stiff consistency frosting. 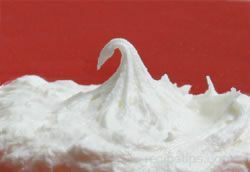 The frosting should hold a 3/4 inch peak. 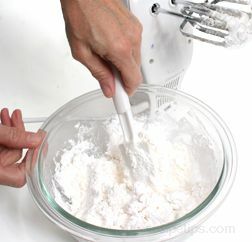 If it doesn't, add 1 tablespoon of powdered sugar at a time to the frosting until it is at a stiff consistency. Medium consistency frosting works best for creating designs where flatter decorations are used, such as flat petal flowers, dots, and stars. 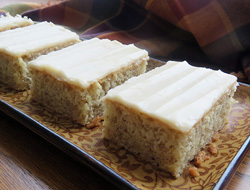 It also works better on thick borders and where a repeated pattern is used because the medium consistency frosting will flow easier than the frosting with a stiff consistency. 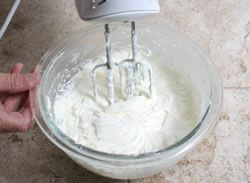 To create a medium consistency frosting, add 1 teaspoon of milk per cup of frosting that you are trying to thin down. A medium consistency peak will droop slightly. 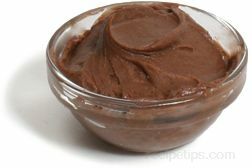 The thin consistency frosting is best used for writing, leaves, creating vines, stems, lattice, and lace. 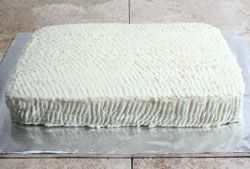 The thin frosting is also used for icing the surface of the cake. 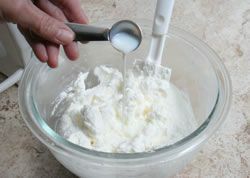 To create a thin consistency frosting, add 1 teaspoon of Karo syrup and 1 teaspoon of milk to the stiff consistency frosting. 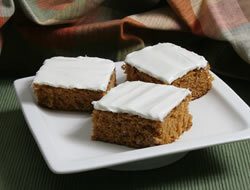 The thin consistency frosting should droop slightly more than the medium consistency. 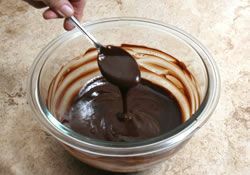 If it doesn't, add more milk a half of teaspoon at a time until frosting is the proper consistency. 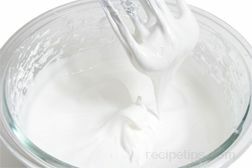 Do not add too much milk at a time or the frosting may become too thin.